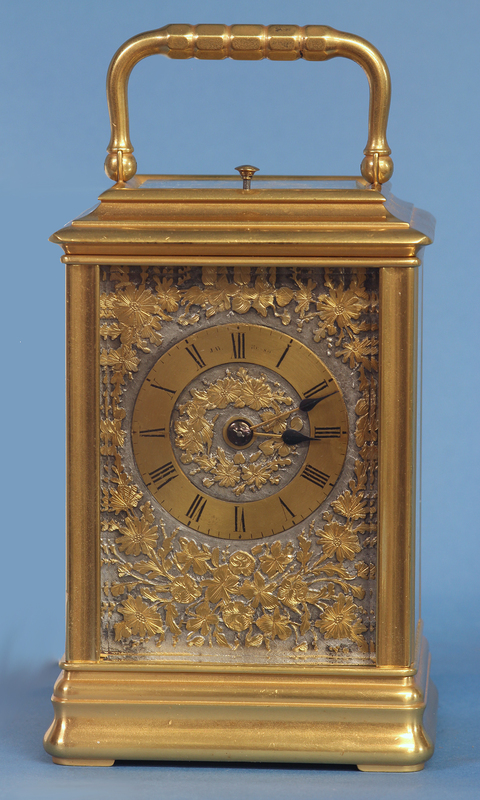 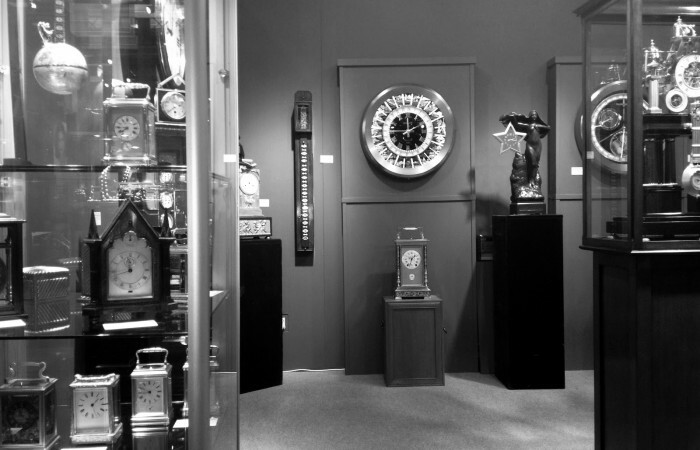 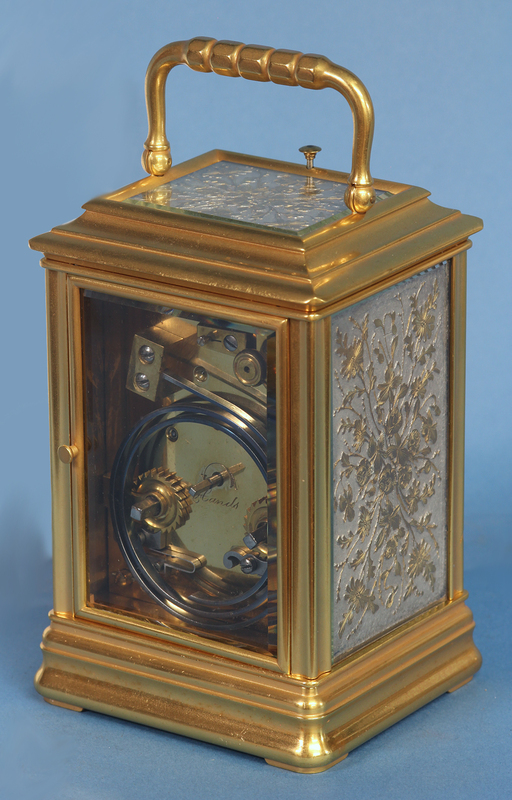 c.1895 French Gilt-Bronze Cannalee Cased Carriage Clock with Decorative Metal Panels. 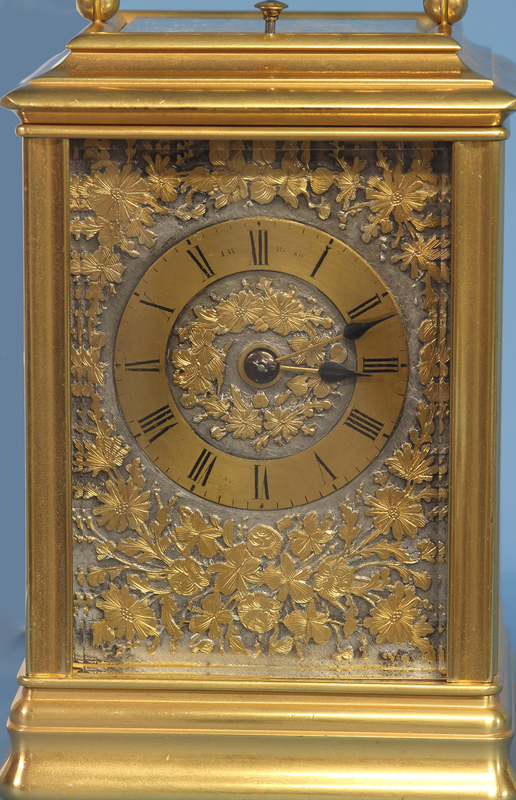 The gilt-bronze circular dial has black Roman numerals for the hours, two-tone steel spade hands and is signed by the retailer, ‘J.W. Benson’. 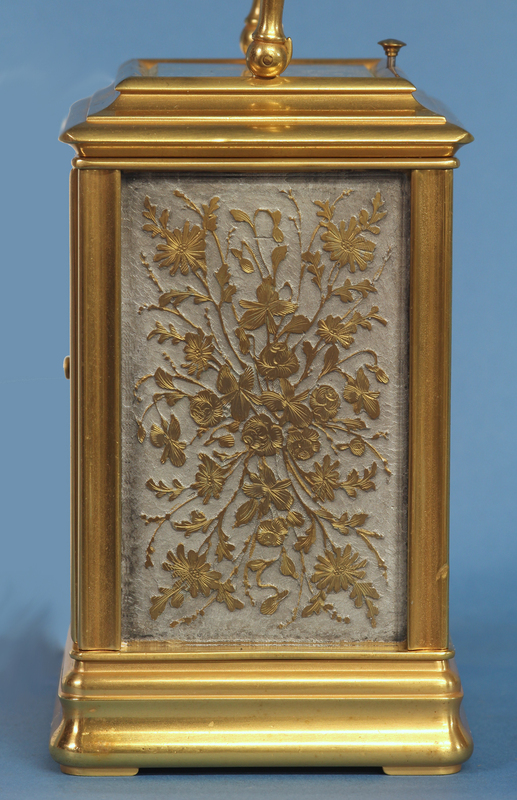 The whole is set within an engraved and chased silvered and gilt-bronze raised floral metal panel and set behind a beveled glass. 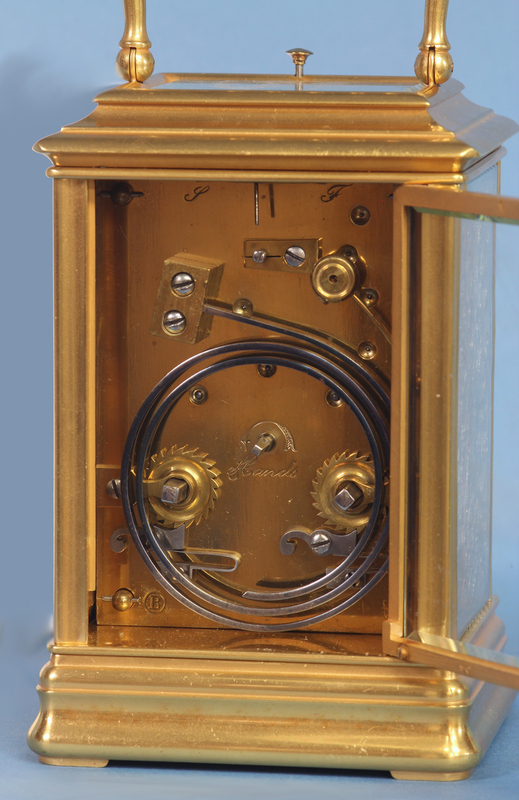 The eight-day time and strike movement is wound and set off the backplate, is stamped by the maker with a ‘B’ within a circle and still retains the original lever platform. 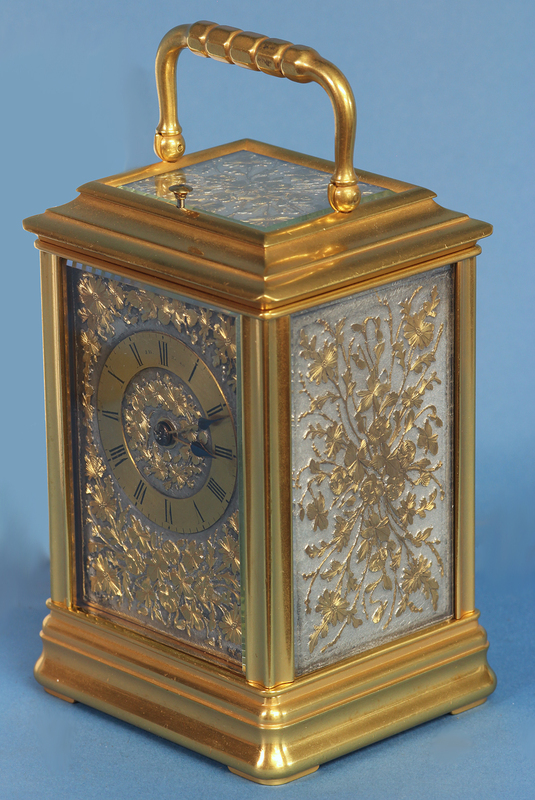 This example is unusual not only for the interesting detailed metal panels to the front and sides, but also because all the panels, including the one in the top, are set behind beveled glass.